There are always preconceptions about art. Humans seem to love it or hate it. No in-between. On Growing Talent, we use it as a de-stress tool on the journey into work and thereafter. How many of you reading this stop work for lunch? Why not try grabbing a pen and paper, go outside with your lunch and draw what you see? it’s so relaxing and reboots your energy levels. When they knew there was going to be an art session on Growing Talent, the Associates had a mixed reaction. Love/hate – maybe hate’s a strong word. 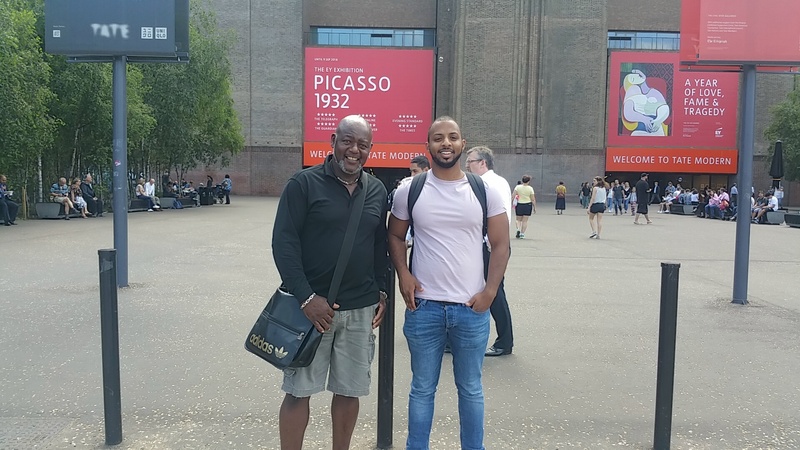 Uncomfortable is maybe more appropriate…..
Armed with their project sheet, Shae, Imran and Delroy of Ballymore Group & Pertemps set of to The Tate Modern to select a piece that ‘called to them’. Either good or bad. Their project sheets had a couple of questions they had to answer which made them stop and reflect a little longer. This act is great for our mental health and rebooting our energy. If you could ask the artist one thing about the piece, what would it be? 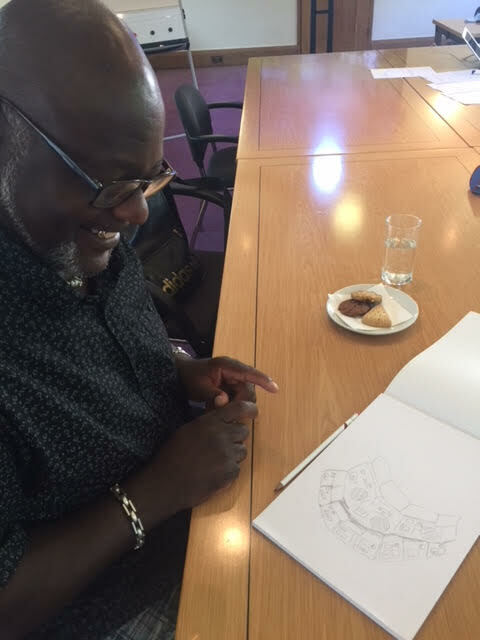 On returning to Southwark Cathedral the following day armed with their completed project sheets, one of their tasks following the discussion on their visit was to draw their chosen piece! Strangely, Imran and Delroy selected the same piece: Babel by Clido Meireles constructed in 2001. This is a larger sculpture in the form of a circular tower made from 100s of second hand analogue radios. All the radios are tuned to different stations and set to an audible volume resulting in a cacophony of sound…..
Delroy said looking at the sculpture he felt it was confused yet organised. The question he would ask ‘why use radios? are they relevant today with the lack of radios available’. Imran felt the sculpture made him feel we live in a throw away society always looking for the next thing. They question he would ask was how long did it take to source the materials and could he do it again with something other than radios? Both agreed the session was therapeutic. Unfortunately, Shae was delayed by transport issues and missed this session. 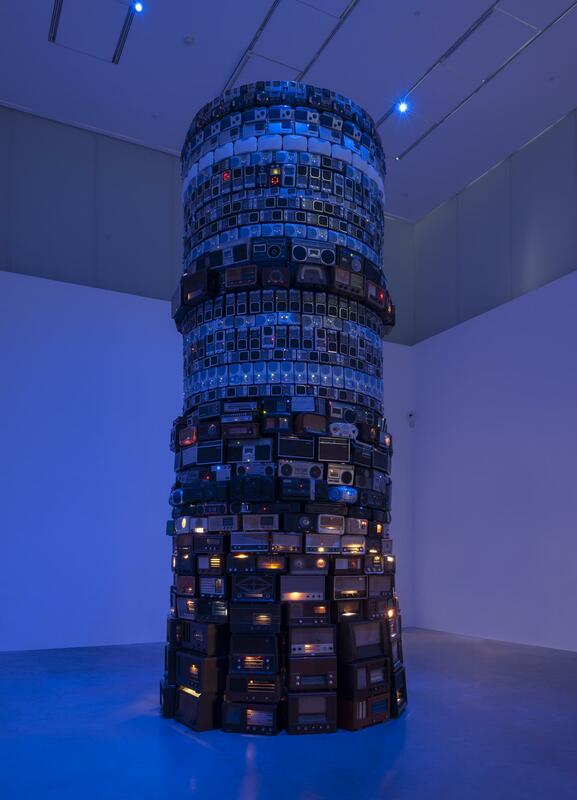 Cabel 2001 is a large-scale sculptural installation that takes the form of a circular tower made from hundreds of second-hand analogue radios that the artist has stacked in layers. The radios are tuned to a multitude of different stations and are adjusted to the minimum volume at which they are audible. Nevertheless, they compete with each other and create a cacophony of low, continuous sound, resulting in inaccessible information, voices or music. In describing this work, Meireles refers to a ‘tower of incomprehension’ (quoted in Tate Modern 2008, p.168). The installation manifests, quite literally, a Tower of Babel, relating it to the biblical story of a tower tall enough to reach the heavens, which, offending God, caused him to make the builders speak in different tongues. Their inability to communicate with one another caused them to become divided and scatter across the earth and, moreover, became the source of all of mankind’s conflicts. The room in which the tower is installed is bathed in an indigo blue light that, together with the sound, gives the whole structure an eerie effect and adds to the sense of phenomenological and perceptual confusion. The radios are all of different dates, the lower layers nearest the floor being composed of older radios, larger in scale and closer in kind to pieces of furniture, while the upper layers are assembled from more recent, mass-produced and smaller radios. This arrangement emphasises the sense of perspectival foreshortening and thus the impression of the tower’s height, which, like its biblical counterpart, might continue into the heavens. The artist has explained that the work took over ten years to complete from initial conception to its realisation…. Before we wrapped up the art session, we undertook our own modern art joint piece. 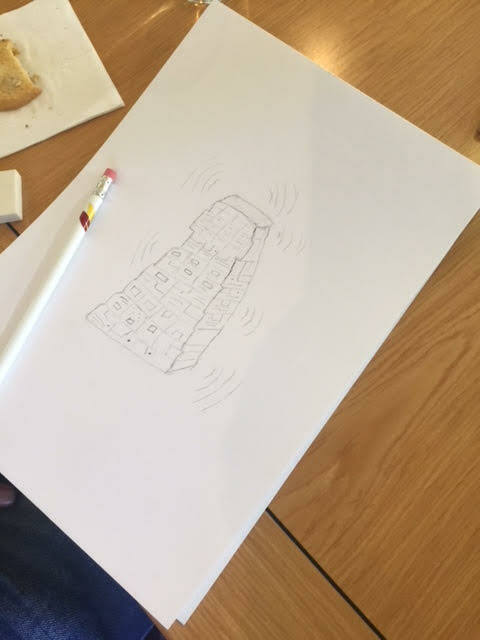 Everyone had to draw an additional drawing which had to touch the previous one. We ended up with something, which could be a feature in an art gallery…….. It certainly gave a lot of laughter in the room….. I notice the Prosecco slipped in……. I wonder who drew that! Next Growing Talent’s Holistic Week…….